The “Three Great Things” are part of the mission directive of the Cathedral of Christ the King parish, and “Catholic Inspiration” evolved from the daily homilies and presentations that are part of the everyday work of a parish priest. We can talk about Jesus Christ when we know him; through study we discover who God is and how we can become fully and authentically human. We can say that we follow Christ if we spend time with him; the different opportunities to pray allow us to encounter God in personal and meaningful ways. We can proclaim that Christ is Lord by living as he taught; as we serve one another we allow the Holy Spirit to work through our unique lives to further the Kingdom of God here and now. 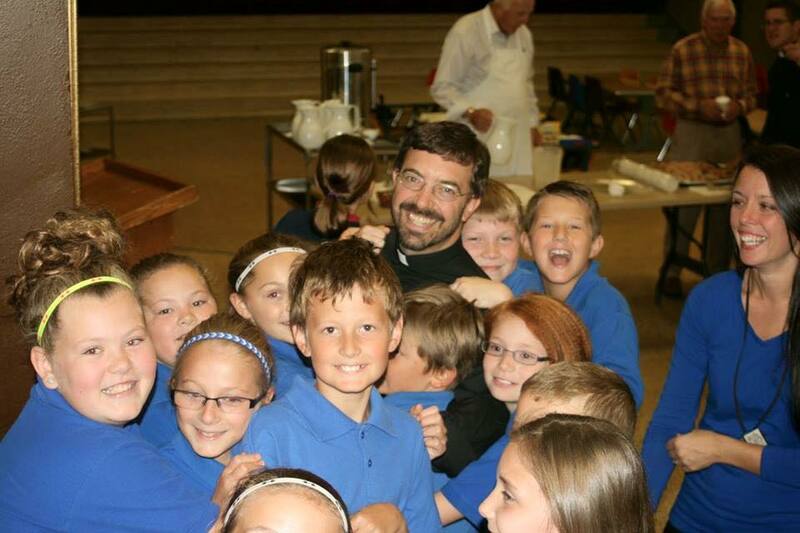 A Catholic priest since 1997, Fr. 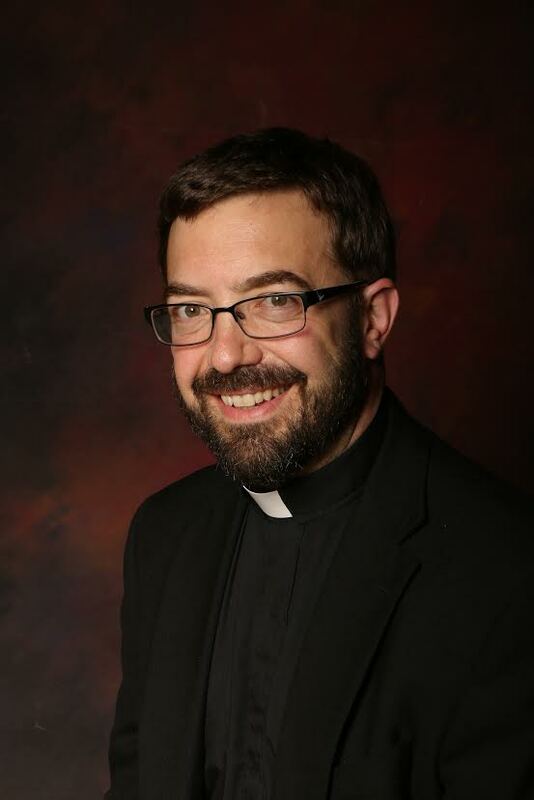 Andrew Ricci is the rector of the Cathedral of Christ the King in Superior, Wisconsin, and the pastor of 4 other area Catholic parishes: Holy Assumption Church, Superior; St. Anthony Church, Superior; St. William Church, Foxboro; and St. Anthony Church, Lake Nebagamon. He earned a BA in Classical Languages from the University of St. Thomas, as well as an MA in Theology and a Master of Divinity from St. John’s University. A lifelong learner, Fr. Andrew enjoys all things Italian as well as cooking, wine making, reading, travel, astronomy, and music. These weekly blogs are part of his study, prayer, and service to prepare for the Sunday homily; once the homily has been given the blog is updated to include the homily for that weekend. In addition, extra talks, retreats, and reflections are occasionally included. or at “Catholic Inspiration” in iHeart Radio, Spotify, or Apple Podcasts. Is it possible to get email notifications when you post to this website? Yes, simply click on the “Follow” button in the bottom right corner of the screen. It will ask for your email address and automatically send you a notification when a new post occurs. that I too may learn, pray, and serve. God bless you as you spread the Good News! Thank you Father for your inspirational Easter message! sons and friends. God bless you and miss you! Thanks, Barb, for your kind words! May the Lord’s grace touch us all with the power of Easter joy. God bless you, my friend. I have been listening you on the podcast in “catholic inspiration” since January 2017 while I was nursering my 2 months old baby girl. I’m Colombian and currently live in Bogota. May God bless you and keep covering you with grace so you can carry on spreading the good news!! Thank you Nelly for your kind words! May the Lord bless you and your family! Hello Father Ricci – thank you for the podcasts! I get a lot out of them and look forward to each new posting. I have a 6 yr old son and a 4 yr old daughter, do you happen to have any daily/weekly teachings for kids or could you please offer any suggestions on other publications my wife and I can use with our kids? I hope this helps. Thanks for listening! I have no idea how my husband found your podcast, but I’m glad he did, ‘cause he’s the one who forwarded it to me. You can bet I’ll be following your podcast from now on! I thank God for your words! And I pray I can put the power and authority He’s given me to good use. Thank you, Florencia, for your kind words! God bless you! Dear Father, Forgive me for I haven’t stayed in touch. I couldn’t find your email. How is the Cathedral? How is Superior, Wisconsin? Its Maryam. Thank you for all your prayers. I cast my burden on him everyday. Like you always encouraged me to. I miss attending morning mass. Graduate school (In Atlanta) is interesting. I am busier than usual, but I am enjoying every bit of it. I would write to you more often. Thank you father, I haven’t forgotten everything you taught me in relation to Christ. Thank you for being there during my difficult times. God bless you Maryam! You remain in my daily prayers; may the Lord continue to bless and guide you! Thank you so much for you Podcasts. They give me direction, learning & hope. I grew up Catholic but my family converted to Robert Schuller’s Crystal Cathedral. My sisters and I were left on our own to decide to go with them or go to the Church of our choice (my mother was not allowed to be a member of our Catholic Church because she divorced my physically abusive father who cheated on her and suffered from prescription drugs and alcohol and refused treatment ). My mother was devistated being kicked out of Church Membership. I was suspended from Catechism because I questioned how to understand the Holy Trinity while in the 4th grade. I believe I am and want to be a good Catholic. However I am also divorced 18 years ago and have been in love with a wonderful man for 16 years and married to him for 8 years. I have always tried my best to be a good Catholic on what little I know. I was diagnosed with stage4 cancer in 2013 and in an airline accident in 2011. I am now cancer free but I can’t drive and can’t sit through a Mass, have trouble kneeling etc. 1) how can I become more educated and devoted to my Catholic Faith from home? cancer and physical limitations from injuries from the airline accident. I thank God for being blessed everyday, all day. Am I a Sinner for having anxiety even though I’m working hard on it? And how can I become a good Catholic and learner? I don’t know how to study the Bible (I have one and try to read it but it’s hard for me to understand…still working on the Old Testament). Any help and answers you can give me is a Blessing. Thank you Father. I see how busy you are and how many people depend on you. I hope you can find time for me to help me. Thank you for your kind words. I will keep you in my daily prayers. In regard to your questions I would encourage you to go and reach out to the local Catholic Church near you and see if you can meet with a priest or parish volunteer. You have an important story to share about your life, and they can help you reconnect with your faith. You need your faith in Jesus now more than ever! The Church will help you draw near the Lord. I enjoy your daily Catholic Inspirations podcasts since my husband recommended them about a month ago. I was especially taken with Season 18, Episode 305 Monday Conversation – A Plan for Life. I checked the website and didn’t see any, but is there a worksheet, power point or the link that gives a guide to the pillars and steps? Essentially a map to going through the process and a way to take notes, set goals and checkpoints etc? Thank you for providing the ministry you do through the podcasts. Thank you for your kind words! I took your question to heart and I think that have figured out how to make the worksheet possible. If you go back to my website (www.studyprayserve.com) and scroll down to the Monday Conversation, I believe that you will be able to access the pdf that I made. God bless you! Thank you so much! I found it and downloaded it to work through. Your podcasts are such an inspiration, and today’s was my “oh now I get it” moment. It gave me direction which I needed desperately. I almost felt it was meant just for me. I have shared your podcast with my Mother, and she is becoming a listener. I was wondering how I might support your podcast. I can’t find a link to Patreon or other source where I could make a donation. I thank you for actually taking the time to respond to my email a week or so ago. Thanks again for your support! No donation is required…just tell me more people! God bless you, and let us pray for each other. No donation necessary! Just pass along the podcasts to your family and friends. Have a blessed Holy Week. I pray you are okay. I missed your Podcast today and keep checking all day to see if it has posted yet, but I now realize it’s after 6:00pm your time and it’s unlikely we will hear from you. Again I pray to Jesus, and our Lord that you are healthy and your loved ones are well. You can see how so many are blessed with your words received daily through your podcasts. We care and pray for you dear Father Ricci. I discovered your podcast through Spotify several months ago about the same time I converted and rediscovered my faith in Christ. Your podcasts have been a joy to look forward to everyday since. After many years astray, they helped me immeasurably in my decision to become catholic, but also with my struggles of having been a non-practicing christian, then shamefully even an agnostic atheist for much of my life.Thank you so much for reaching out and taking the time to upload these podcasts and homilies. You’ll be happy to known I will be listening to them on the journey though RCIA. Best wishes, and God bless. Thank you for your kind words! May the Lord bless you and work through your life to touch the hearts of others. You will be in my daily prayers. Started listening to this podcast as I was recovering from a stroke. It is now a very important part of my day and one I look forward to. May God bless you with good health in your recovery!